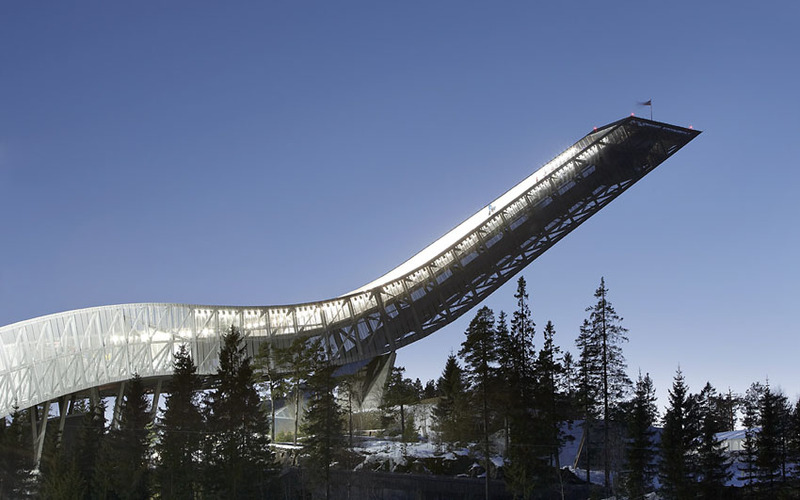 Holmenkollen near Oslo, Norway, has a history of hosting legendary ski jumping competitions, but after their ski jump was deemed too small in 2005, a competition was held to build a new jump. JDS Architects, based in Copenhagen, were the winners out of 104 entries. 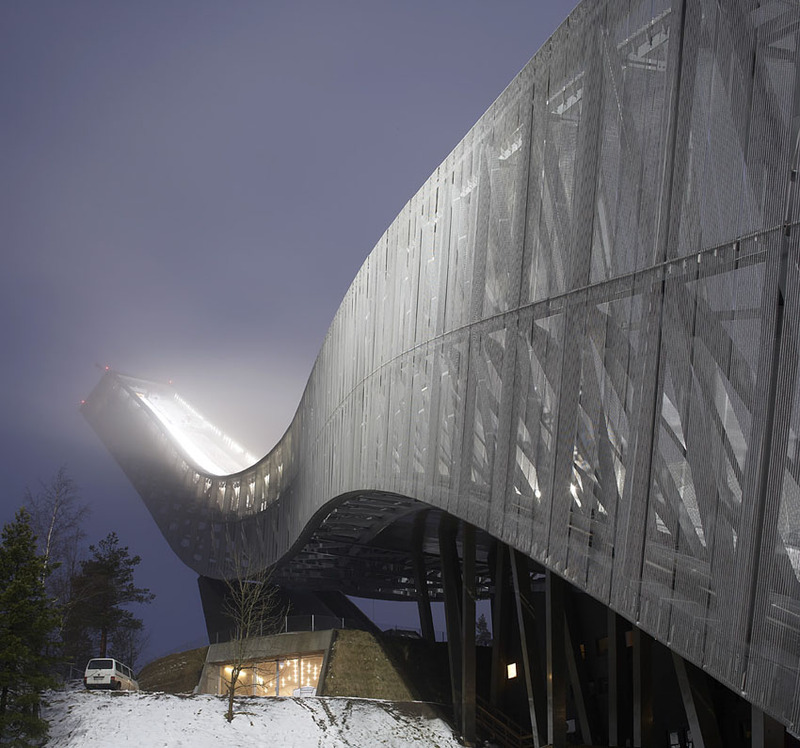 Their dramatic design is clad in a mesh of stainless steel with a 69-meter cantilever that rises 58 meters in the air. Rather than having a series of dispersed pavilions on site, our design unifies the various amenities into one holistic diagram. The judges booths, the commentators, the trainers, the Royal family, the VIPs, the wind screens, the circulations, the lobby, the entrance to the arena and the arena itself, the lounge for the skiers, the souvenir shop, the access to the existing museum, the viewing public square at the very top, everything, is contained into the shape of the jump. The resulting simplicity of the solution improves the experience of the spectators and brings clear focus to the skiers jumping. Some of these shots alone give me vertigo. I can’t even fathom plunging down on skis, being that I barely make it down a bunny slope.